The video highlights the Baker-Polito Administration’s proposal and enactment of a $4,000 tax credit for small businesses who hire a veteran. The video includes commentary from veterans Jesse Brown and Matt Mastroianni, founders and owners of Heidrea Communications in Bellingham, who laud the Governor’s commitment to supporting our heroes by incentivizing small businesses to create economic opportunity for veterans. Governor Charlie Baker and Lt. Gov. Karyn Polito are running for re-election. Both are on the Republican primary ballot on Tuesday. Earlier, this week the Governor Baker signed the BRAVE Act, which expands benefits and increases access to services for veterans, active-duty service-members and their families. “One of the things we did as an Administration, working with our colleagues in the Legislature, was get passed legislation that creates a very generous tax credit for small businesses who hire a veteran. 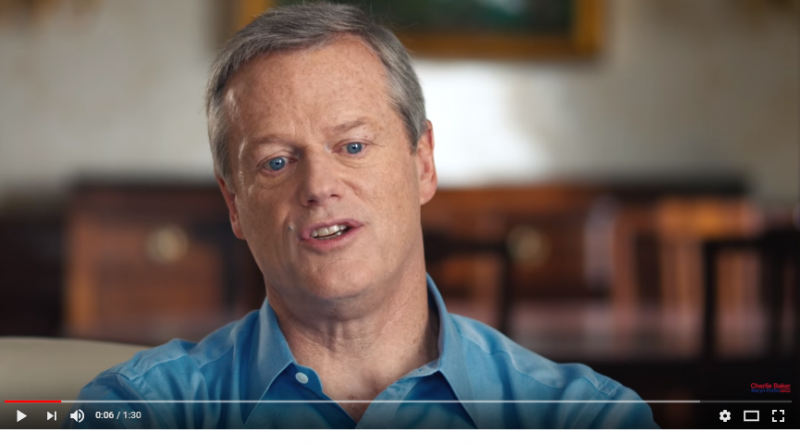 And the idea there was basically to send a message, from Massachusetts to the employer community that says, ‘We want to help you help our men and women who served this country find their way back into productive employment,” says Baker in the video. As part of the FY 2018 budget, Governor Baker and Lt. Governor Polito proposed and enacted a $4,000 tax credit for small businesses who hire a veteran. The Department of Veterans’ Services is working with New England Tech Vets, an initiative of the Massachusetts High Technology Council toward implementation of the credit. Governor Baker has signed legislation expanding access to benefits for Gold Star families who lose a loved one in the line of duty. The Baker-Polito Administration has expanded and streamlined access to state contracting opportunities for veteran-owned businesses. In 2016, Governor Baker signed the HOME Act, which expands housing and other benefits for veterans, and implements important protections like adding veteran status as a protected class.